Several of our bulbs attended the “What is UX?” event presented by information architect and user experience designer Rick Spencer. Many people have the misconception that UX and UI (User Interface) are synonyms. 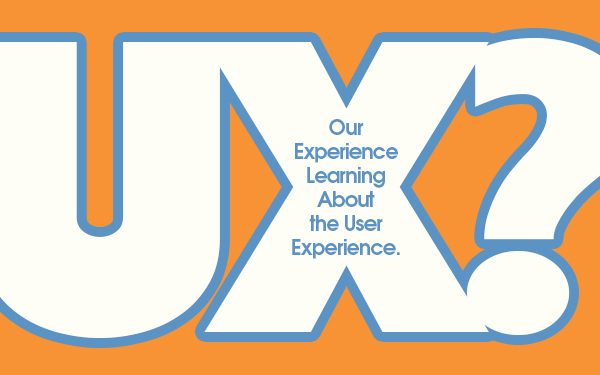 UX is the emotional reaction the user has during and after using the website or application. UI is how the user physically interacts with the website or application. This means you can have the most beautifully designed UI with every pixel painstakingly poured over and in the perfect place, but if I click the “Buy Now” button and it takes me to the “About Us” page my UX with the product is poor. This is because the user’s expectation was to begin the process of purchasing something but instead was taken to a completely different page causing frustration and distrust in the site. Most likely, the user has now lost interest in completing the purchase. You don’t have to be tech-savvy to see the problem here. It is vital to manage the expectations of the end user. User expectations will vary based on their level of comfort with the product they’re using. More experienced users have more defined expectations. If you don’t meet their expectations, then they will quickly stop interacting with your product and go elsewhere. Inexperienced users will have fewer expectations but a greater level of trepidation when interacting with your product. For these users, intuitive actions are necessary. The fear in these users gives us a great opportunity. For instance, an inexperienced user is filing their taxes online for the first time. If each question is easy to comprehend, presented to them in a logical order and leads to a completed tax form, then you have crafted a great UX. And the likelihood that the user is going to use your product next tax season is very high. Every person that attended the event made some mention of a double diamond illustration that was referenced throughout. It’s a workflow process. As much information as possible is gathered, reviewed, digested and refined before any decisions on implementation are made, executed and delivered. In the marketing industry, it’s easy to get wrapped up in projects that go from an introductory meeting straight into design with little or no initial research. But research is critical. It’s hard to sell someone something they don’t understand. So, spending the extra time and dollars on initial research can have a huge return on your SEO, ROI and also your UX. The “What is UX?” event sparked a lot of internal discussions about how we can best implement UX in every project at Current360, and we were lucky to have attended it while in the process of refining our workflow procedures. 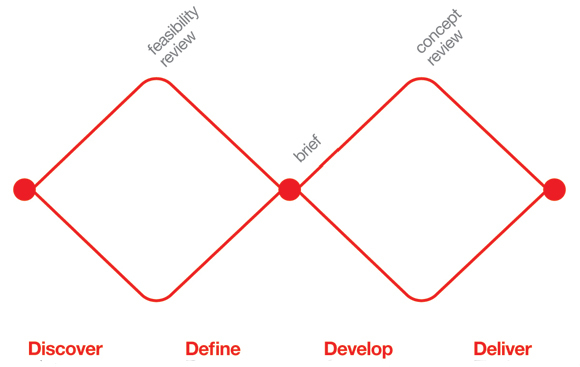 Even though the UX process is forever changing, we left feeling good knowing we’ve already been covering most aspects of the presentation in our current processes.